Hi All! New user here! Thanks for all of the great information on the boards! I am looking for help on how to remove the 2 alignment dowels to accept a new edelbrock performer intake. I have been spraying with pb and pulling with vice grips but they are not moving. Any ideas? 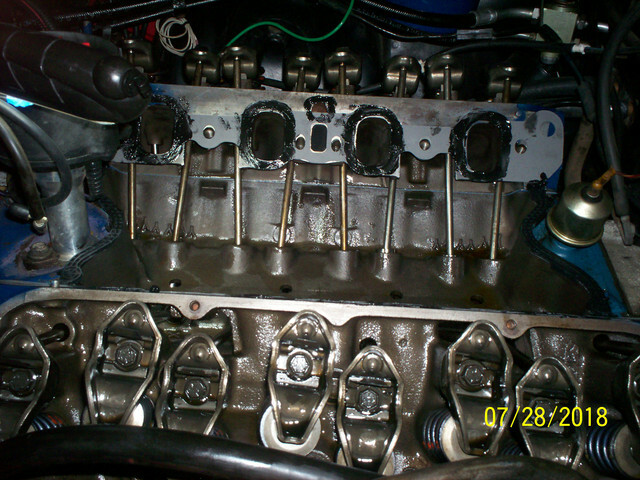 I have that intake on my 73 vert but did not notice if the dowels were in or out when I put head gaskets on. I would suggest the following. Never hit a dowel with a hard hammer. Put a piece of brass or aluminum on it and hit it. Might make it move and then pull out. You might also try to heat around the dowel. Put a piece of tube or socket of something over the dowel to keep flame off of it. Try to pull then. Maybe the heat will break it loose after it cools off also. 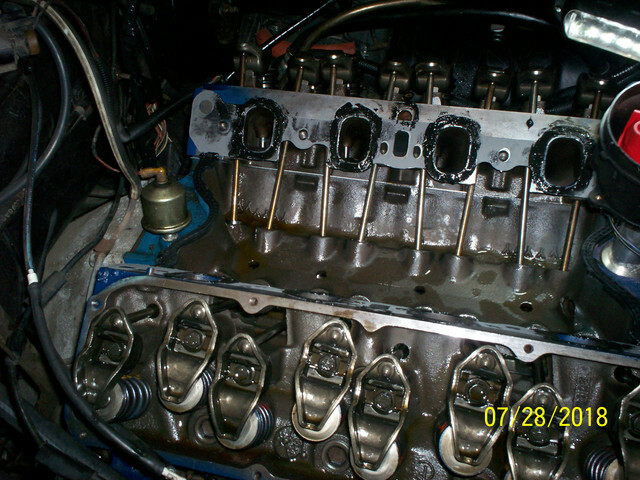 Humm I went back and looked at pictures of the heads on my car and the dowels are in there and I have the performer 2-V to 4-V intake on so leave the dowels alone, lol. You can see them in pic. Thank you! 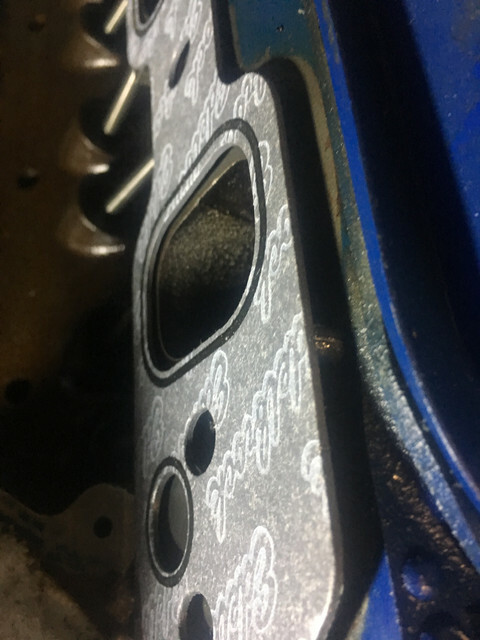 What gaskets did you use? The intake definitely clears the dowels but my gaskets do not. I guess I can just cut a notch out of the gaskets? Yes, just make sure you don't damage the black silicone bead that seals it. a hole punch makes a nice clean hole.